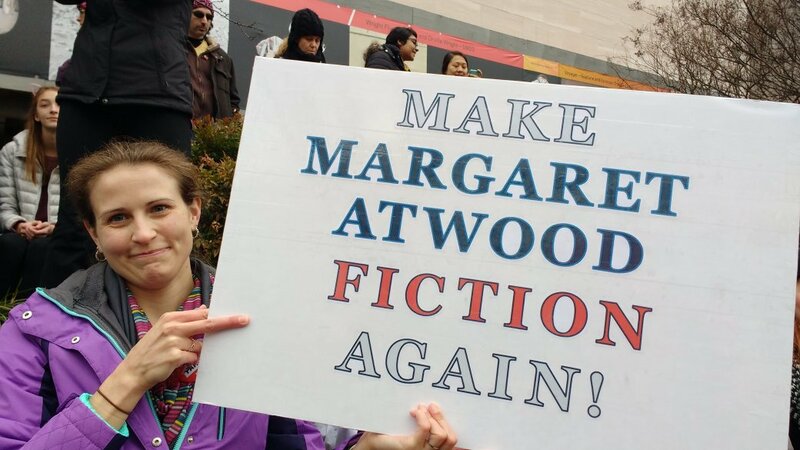 And now, more than thirty years after its publication, Atwood's novel is is not only only the source of a critically acclaimed and much-anticipated new TV series, it's at the top of the Amazon best-seller list (#5, as of today, 26 April 2017). 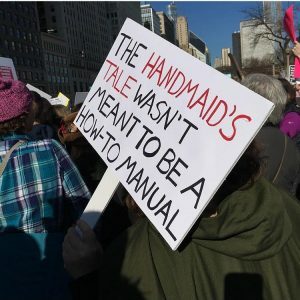 References to The Handmaid's Tale are everywhere--this post is illustrated with placards and posters from the 21-22 January 2017 Women's March that drew some half a million people to Washington, D. C., that took place in 408 cities in the United States, and that saw 168 "sister" marches take place in 81 countries around the world. 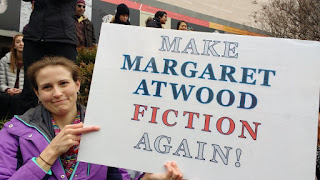 Atwood has recently written that she, the author of The Handmaid's Tale, found watching one scene in the new television version "terribly upsetting': "It was way too much like way too much history," she says. 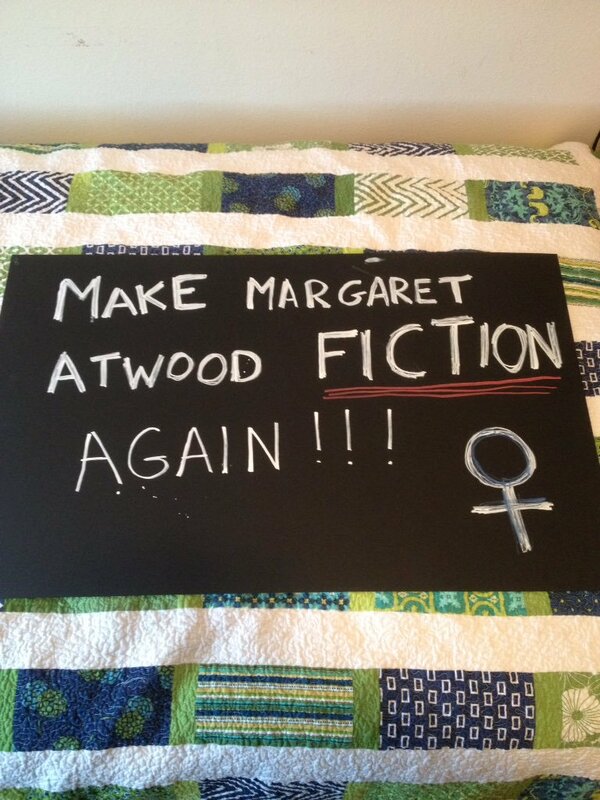 Just what are so many people now finding not only so relevant but, like Atwood, so upsetting? In The Handmaid’s Tale, the narrator’s first-person account of her life covers a few months, from spring to late summer. The narrator who is recounting the story that we are reading is no longer an individual with her own hopes and dreams. She offers us only one brief physical description of herself, halfway through the novel, and even then she is utterly nondescript: “I am thirty-three years old. I have brown hair. I stand five seven without shoes.” We cannot picture her in our mind—she can hardly picture herself. “I have trouble remembering what I used to look like,” she says. And our narrator has no name. She is called “Offred,” a patronymic. She belongs to Fred, she is “of” Fred, she is Fred’s. Although she remembers the name she bore before she became Fred’s property, she suppresses it: “I must forget about my secret name and all ways back.” “I too am a missing person,” she writes. Although Offred claims she will someday reclaim her name, she never does. Offred remains Offred. Stripped of her names and identity, Offred has been reduced to her body, which is no longer her own. During a time when most women are sterile, our narrator has a viable uterus. She is a “two-legged womb,” and her body has been claimed as a critical national resource—she is a Handmaid, a woman whose sole purpose is to produce a child for a childless Wife. 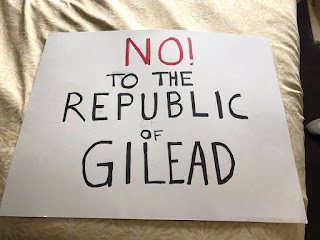 The totalitarian theocracy of Gilead justifies its subjection of fertile women, forcing them to conceive and bear children for the ruling Commanders and Wives, on the authority of the Old Testament, in particular Sarah’s command to Abraham that he give her a child, conceived with her slave, Hagar (“You see that the Lord has prevented me from bearing children; go into my slave-girl; it may be that I shall obtain children by her,” Genesis 16:2) and Rachel’s command to Jacob that he give her a child, conceived with her “maid,” Bilhah (“Here is my maid Bilhah; go in to her, that she may bear upon my knees and that I too may have children through her,” Genesis 30:3). Although The Handmaid’s Tale is set against a background of war, we hear few of the specifics. 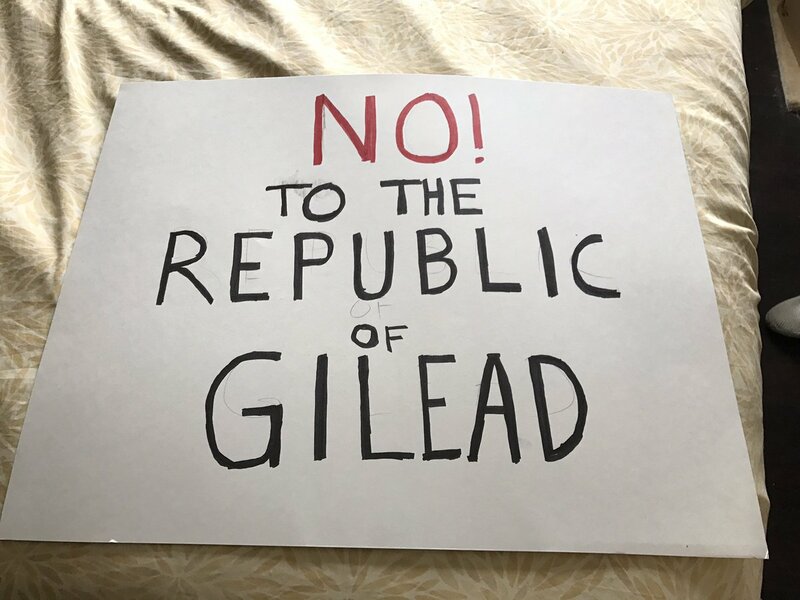 The United States has become the Republic of Gilead—Offred alludes briefly to the “catastrophe” of the mid 1980s when the president was assassinated and the Congress was eliminated. This was a violent military coup, a terrorist attack perpetrated by a shadowy Christian fundamentalist group calling itself the “Sons of Jacob,” although, as Offred notes, these homegrown rebels “blamed it on the Islamic fanatics, at the time.” The army declared a state of emergency and suspended the constitution. Newspapers were censored, and freedom of movement was restricted—roadblocks were set up and passes were required to travel. Offred’s own inaction reflected the larger apathy; for the next few years after the President’s Day Massacre, she and her husband followed their usual routine, getting up in the morning, going to work, coming home. They had a child together, a daughter. 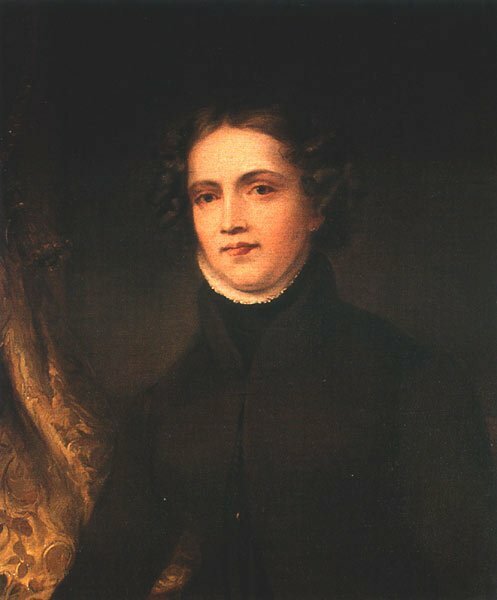 Although there were news stories reporting on the terrible changes underway—women “bludgeoned to death or mutilated, interfered with, as they used to say”—these were stories “about other women.” “We lived, as usual by ignoring. . . . We lived in the gaps between the stories,” Offred says. She sees the final “catastrophe,” the sudden reordering of society along Old Testament principles, only in personal terms—she lost her job and her bank account, her marriage was dissolved, she was arrested, and her five-year-old child was “confiscated” by the state and reassigned to a new, “morally fit” couple. About this never-ending war Offred observes, “First, the front lines. They are not lines, really: the war seems to be going on in many places at once.” At one point she hears from another Handmaid that the war “is going well.” Later she catches a few brief moments of a television newscast and hears that army has captured “a pocket” of Baptist guerilla fighters in the Appalachian Mountains. The book is divided into sections, too, which also seem to impose a recognizable chronology on the story: there are fifteen numbered parts, in which “Night” alternates with daytime activities like “Shopping” and daytime locations that seem familiar, like “Household.” In each of the “Night” sections, Offred is alone in her empty room at the top of the stairs (this pattern is broken just once when, instead of “Night,” the section is entitled “Nap”). But if we examine the titles of the alternating sections, Offred’s experiences seem less and less familiar as the novel progresses. What kind of activity is “Salvaging”? And where is “Jezebel’s”? We move from the familiar to the unfamiliar as the novel unfolds and we travel more deeply into the brave new world of Gilead. If we hold fast to the organization suggested by this table of contents, The Handmaid’s Tale seems to focus on the events of seven days and nights over the course of the few months spanned by the novel. But once we begin reading, we can see that the simple chronology is not so simple after all. The story jumps back and forth in time, as Offred remembers her past—these memories are of her mother, of her childhood, of her college life and friends, of her marriage, and of her daughter (whose name we never learn). There are also memories of the more recent past—of her “retraining” as a Handmaid, of events she has experienced in the three years since, of her previous “posting” in another household. As we read, we experience a kind of vertigo, a dizzy slipping between the present and the past, before and after. It’s not so much where we are that is confusing, it’s when we are, as we experience Offred’s stream-of-conscious narration, her mind moving constantly backward and forward as something she is experiencing triggers a memory of the past. Because Offred’s story is related in the first person and in the present tense, we seem to experience the events she relates along with her. We are there, with her, in her empty room during the long nights when she can’t sleep. We are with her in bed during the monthly Ceremony as she lies between the legs of the Commander’s Wife with the Commander on top of her. But as we read, we slowly become aware of the constructed nature of Offred’s story. And another twist: “Even when there is no one.” At this point, reeling from the narrator’s contradictions, we encounter something new. The narrator suggests that she is writing a letter, addressed to us: “Dear You, I’ll say. Just you, without a name.” Yet the letter she addresses to us is not a letter she expects will ever be delivered: “I’ll pretend you can hear me. But it’s no good, because I know you can’t.” But I can hear you, we want to shout, breaking through the words on the page to the author of those words. We can hear her—it Offred who cannot hear us. We are ultimately left with uncertainty: “And so I step up, into the darkness within; or else the light.” Unsettled—and maybe a bit frustrated—by this inconclusive conclusion, we turn to the “Historical Notes” that follow. 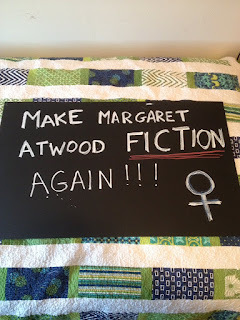 We expect these notes will include Atwood’s comments about her novel or that they are reflections appended by an editor—but the “historical” notes at the end of Atwood’s novel are something altogether different. What follows Offred’s unfinished story is a “partial transcript of the proceedings of the Twelfth Symposium on Gileadean Studies,” dated to June 2195. The transcript records the speech of a keynote address by Professor James Darcy Pieixoto—in which we discover that we have not read an unmediated account of Offred’s experiences as a Handmaid. Rather, the account we have just read, which we thought was the work of Offred, is another reconstruction. What is the effect of this narrative frame on Offred’s account of the horrors of life in Gilead? It not only distances us from her story, it undermines our faith in it—if it is just like one of Chaucer’s Canterbury Tales, it is fiction and the “person” who created it is also a fiction, a female character created by a male author. And somehow we are, today, reading a transcript of a speech to be delivered more than two hundred years in the future. The character of Offred and the truthfulness of her story are further reduced in this narrative frame by the overt misogyny of Pieixoto, who jokes about the pun in Wade’s title (“I am sure all puns were intentional, particularly that having to do with the archaic vulgar signification of the word tail; that being, to some extent, the bone, as it were, of contention in that phrase of Gileadean society of which our saga treats. [Laughter, applause. ]),” who undercuts the credibility of the tale’s supposed author (“This latter appears to have been a somewhat malicious invention by our author”), who refers patronizingly to the story itself (“This item—I hesitate to use the word document. . . .”), and who discounts the extent of her suffering with “humor” (“our author refers to . . . ‘The Underground Femaleroad,’ since dubbed by some of our historical wags ‘The Underground Frailroad.’ [Laughter, groans. ])” Pieixioto ends his address on The Handmaid’s Tale by asking members of the audience, “Are there any questions?” We have questions, lots of them, but we have no opportunity to ask them. Like Offred, we find ourselves silenced. And because we cannot ask questions, we receive no answers. While Offred has been liberated from her imprisonment as a Handmaid, she is still held captive. In The Handmaid’s Tale, her story is controlled by men—transcribed, edited, disseminated, and interpreted by male scholars. We don’t know what her fate was when she was taken away from the Commander’s home—but two hundred years later, in 2195, we know she has not escaped from male control. She is as much a prisoner of male power and “authority” as she was when she was in her small, empty room at the top of the stairs. 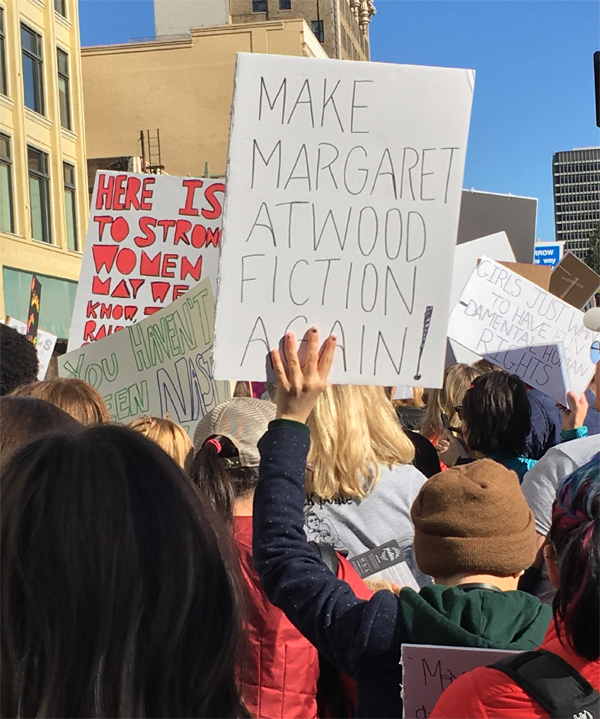 In her recent op-ed on "What The Handmaid's Tale Means in the Age of Trump," Atwood writes that she is frequently asked whether The Handmaid's Tale was written as "a prediction." "That is . . . [a] question I’m asked — increasingly," she says, "as forces within American society seize power and enact decrees that embody what they were saying they wanted to do, even back in 1984, when I was writing the novel. No, it isn’t a prediction, because predicting the future isn’t really possible: There are too many variables and unforeseen possibilities. Let’s say it’s an antiprediction: If this future can be described in detail, maybe it won’t happen. But such wishful thinking cannot be depended on either." *That project is Reading Women's Worlds from Christine de Pizan to Doris Lessing: A Guide to Six Centuries of Women Writers Imagining Rooms of their Own. Portions of this post are drawn from this work. And now here we are, almost a year later, once more forced to face the facts. On Monday, 10 April 2017, a school shooter opened fire at North Park Elementary School in San Bernardino, California--the same city where, in 2015, another mass shooting occurred. When it was all over, four people had been shot, including two children. The shooter died, along with one woman and an eight-year-old boy. School shootings are usually followed by days, if not weeks, of blaring news accounts, but not this one. It's now Friday, just four days after the shooting, and the story has virtually disappeared. This wasn't the act of some "radical Islamic terrorist." Just an ordinary kind of terrorist--the kind that lives in our homes and wreaks deadly vengeance on women and children. Politifact, fact-checking the numbers, reports that, in the decade between 2005 and 2015, a total of 24 Americans were killed by terrorist attacks "on U. S. soil"--in the same ten years, 280,024 Americans were killed by guns. But, more relevant to the story here, three women are killed every single day by their intimate partners. For homicides in which the victim to offender relationship could be identified, 93 percent of female victims (1,388 out of 1,495) were murdered by a male they knew. Thirteen times as many females were murdered by a male they knew (1,388 victims) than were killed by male strangers (107 victims). For victims who knew their offenders, 63 percent (870) of female homicide victims were wives or intimate acquaintances of their killers. There were 239 women shot and killed by either their husband or intimate acquaintance during the course of an argument. In 2015, in just one state--California--91 women were murdered, their deaths the result of domestic violence. (During the same year, the murders of 27 men were also attributed to domestic violence.) If you're one of those people always yelling "fake news," take a look at the source of the evidence--it's reported in Table 25 of "Homicide in California" (2015), a publication of the California Department of Justice. In that year, "only" 39 of of 358 mass shootings nationwide were related to domestic violence, as reported in the New York Times, but they were "among the deadliest," accounting for 145 of the 462 total deaths as a result of mass shootings in that year. In just the first month of 2016--January 2016, as Melissa Jeltsen reported in The Huffington Post--112 people were killed in intimate partner violence. And on average, there are 11 murder-suicides, like the one in San Bernardino, every single solitary week--most of them involving a man who kills his wife or girlfriend with a gun.. In at least 54 percent of mass shootings (85), the perpetrator shot a current or former intimate partner or family member. These domestic violence mass shootings resulted in 422 victims being killed—more than 40 percent (181) of whom were children. A majority of these cases—56—also ended with the perpetrators killing themselves. Forty percent of the fatalities in domestic violence shootings are children. The biggest threat to women is not some crazy-eyed Muslim terrorist who wants to destroy the United States and impose Sharia law on those of us who survive the conquest. 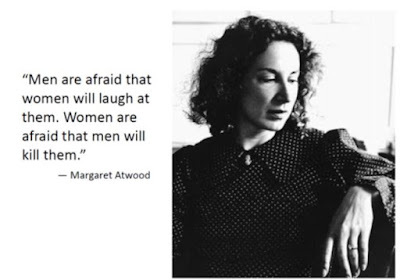 The biggest threat to women has always been, and remains, men--their husbands, boyfriends, fathers, brothers, sons, dates, exes, colleagues, neighbors, acquaintances, the guys in their yoga class, the man in the Safeway store . . .
From the beginning, my purpose in this blog has been to focus on writing women's history--many of the women I've included have been written out of history, but many of the women have been famous, some of them infamous. Regardless, of whether their acts have been noble or ignoble, I've enjoyed writing the stories of all of these women. 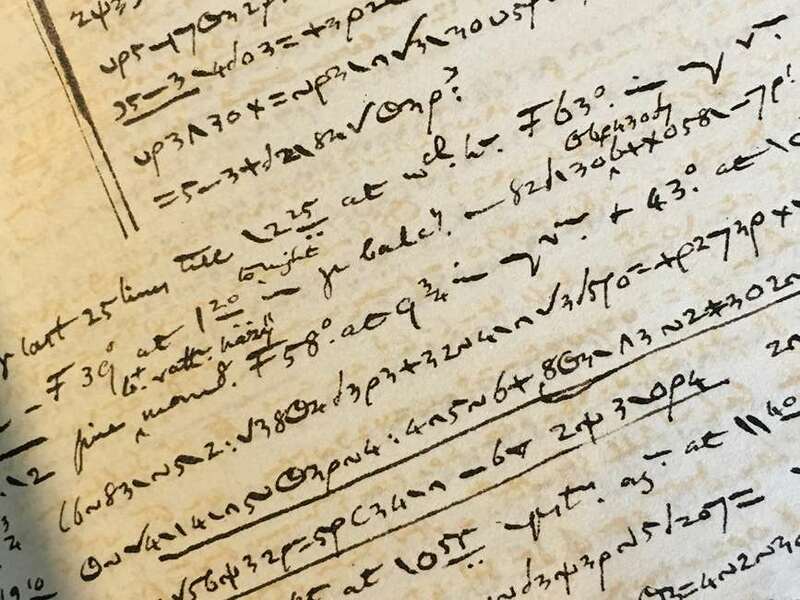 But sometimes, women's stories are told to less-than-enjoyable ends, and that has been the case for Katharina Kepler, the mother of the famed mathematician and astronomer Johannes Kepler. 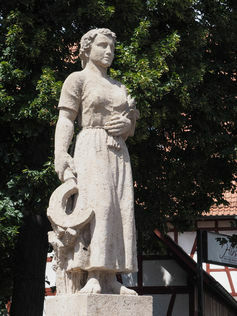 In 1615, the sixty-eight-year-old Katharina Kepler was one of fifteen women in Leonberg (Germany) accused of witchcraft. The charges against Katharina Kepler were brought by her neighbors--one woman believed she was being poisoned by Katharina, a girl said she had been hit by the old woman and was eventually unable to move, a man alleged she had paralyzed him, others claimed she killed their livestock and turned herself into a cat. Kepler was just one of the women tried during the Württemburg Witch Trials--eight of the fifteen women were convicted and executed. Kepler's case dragged on for six years. During the last fourteen months, she was threatened with torture and kept chained to the floor of her prison cell. 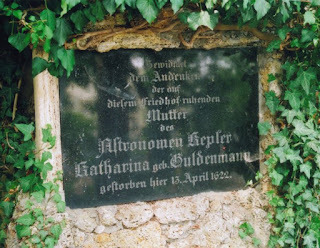 In 1620, Katharina's astronomer-son, Johannes, left his post as imperial mathematician and astrologer and went to Württemburg to defend his mother. 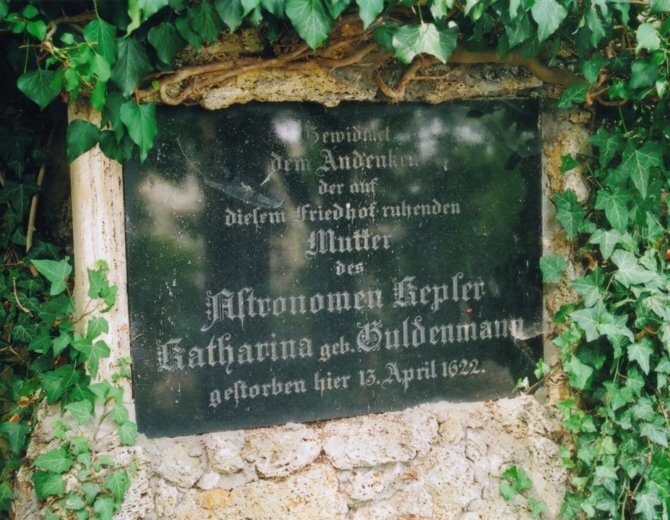 While acknowledging Katharina's "restlessness" and her undoubted ability to "disturb" her neighbors, and fully aware of how the charges against his mother threatened his own life as well as his reputation, Kepler prepared and undertook a public defense of her. For her part, and despite everything, Katharina Kepler refused to confess. Brought before the tribunal and threatened with torture, she replied, " Do with me what you want. Even if you were to pull one vein after another out of my body, I would have nothing to admit." 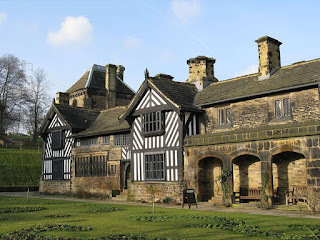 She was finally freed in the fall of 1621, dying just six months later. Until recently, those who told her story made it seem as if Katharina Kepler deserved the horrific suffering she endured--she was, of course, headstrong, sharp-tongued, and disappointed in her marriage. She was clearly a bad wife. Her husband eventually abandoned her--but, of course, that was only because she "drove him" (and the rest of her family) "away" with her horrible behavior. She was, of course, a terrible mother. She was also illiterate, like most women of her social class, but for many historians and critics this is just one more of Kepler's unforgivable fault. Of course. Her aunt had been burned at the stake as a witch, so Katharina should have known better than to "concoct" potions and sell them to her neighbors. Of course. And, accused of witchcraft, she should never have hired a lawyer to defend her and to accuse her neighbor of slander. She was a terrible woman, and if she was accused of witchcraft, it was obviously all her own fault. As for Johannes Kepler? He outlived his mother by only eight years, dying in 1630. His "early" death (he was fifty-eight) was obviously the result of all the stresses and strains of putting up with his mother. Of course. In his 1933 Makers of Astronomy, Hector Macpherson described Katharina Kepler as an "ill-tempered virago." She alienated her family with her "harsh tongue." In his 1990 The Sleepwalkers: A History of Man's Changing Vision of the Universe, Arthur Koestler regarded Katharina as a "hideous little old woman" with an "evil tongue" and a "suspect background." Although focusing on Johannes Kepler's defense of his mother in Kepler's Witch An Astronomer's Discovery of Cosmic Order Amid Religious War, Political Intrigue, and the Heresy Trial of His Mother (2004), James A. Connor isn't very sympathetic to Kepler's mother. Her antics distracted her son from his important work. And, anyway, she was probably responsible for causing the illnesses and ailments her accusers suffered: "Who knows what kinds of bacteria were growing in" her various vials and bowls, Connor asks. And if non-fiction accounts have been unforgiving, a fictional version of Katharina Kepler isn't much better. In John Banville’s historical novel Kepler, she is a disgusting old woman whose kitchen smells like cat piss and whose garden is filled with dead rats. Her son is embarrassed and ashamed of his mother, who is most likely guilty of being a witch. But finally there is something of a corrective. 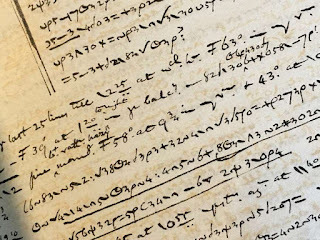 Ulinka Rublack's The Astronomer and the Witch: Johannes Kepler's Fight for his Mother (2015) makes use of the extensive surviving trial records, preserved in the Württemberg state archives, documenting the case of Katharina Kepler, and focuses in a nuanced and thoughtful way on Katharina and her experience. Rublack argues that both non-fiction and fiction have been "clearly wrong" in their portrayals of Katharina Kepler. "When you go through everything," Rublack writes--"everything" here meaning documentary evidence, not misogynist assumptions--"there is nothing which suggests she was someone who was witchlike." As Rublack notes, "Local records for the small town in which Katharina Kepler lived are abundant. There is no evidence that she was brought up by an aunt who was burnt for witchcraft--this was one of the charges which her enemies invented. There is no evidence either that she made a living from healing--she simply mixed herbal drinks for herself and sometimes offered her help to others, like anyone else." Whether or not she was cranky, stroppy, disagreeable, or difficult, Katharina Kepler was a rare woman: she survived a charge of witchcraft during the dangerous, "burning times" of seventeenth-century Germany. It's too bad that seems to drive so many writers--male writers?--nuts. For Rublack's essay, "The Astronomer and the Witch: Johannes Kepler’s Fight to Save His Mother from Execution" (a nice introduction, if you're not interested in her book), published by History Extra, click here.